If the stair lift is straight, there are a number of reliable, inexpensive stair lift models available. If the staircase is curved, a special curved staircase is required. What special needs does the user have? You may have certain physical limitations that make it more difficult to find the right stair lift. You may suffer from hip or knee problems that make a perch seat the best option, since it requires less bending at the hip or knee to use it. 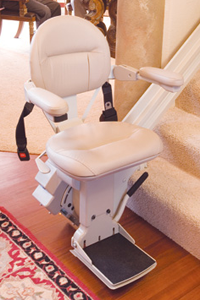 The perch lift is a standing stair lift and is ideal for those who have surgery, like knee replacement. There may be other important considerations in relation to seat comfort. What are the physical properties of the rider? This includes weight, height, and how large of a seat is needed for the stair lift. Consider the size of the staircase. If the staircase is very narrow, you might need a perch lift, which takes up less space, but most sitting stair lifts feature fold up seats. Decide between a battery-powered or electric stair lift. Electric stair lifts are less expensive but don’t work if the power goes out. Once the stair lift is in place, find out how long the warrantee is and if it is extendable. Some manufacturers put a lifetime warrantee on their products, but it may be for only certain components, so be careful. How will the stair lift be repaired? If your stair lift breaks down, how quickly will the company that sold it to you respond? Do they have their own stair lift engineers or is the service contracted out? How long will you have to wait for service? Should you rent or buy a stair lift? Consider the costs you will be paying out of pocket. Are you planning to stay in your home for a long time? Do you rent or own the home. The choice or whether to buy or rent relies on which is the best monetary option for you in your situation. Should you buy a new or reconditioned stair lift? If you are on a tight budget, you can purchase or rent a reconditioned stair lift. Make sure you get a warrantee for at least a year on any reconditioned stair lift. 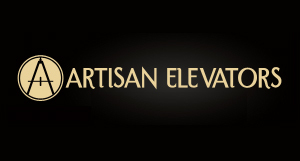 For most curved stairways, new lifts may be necessary, since they are custom designed for the stairway. Ask others you know about stair lift use. Ask friends or relatives about their personal experiences. People who have been using stair lifts can offer great advice to help you make a decision about the style and model to buy. Once you have answered these questions, look online for stair lift manufacturers that offer models that will solve your personal needs. Companies will offer a wide selection of new and used models that are installed by trained technicians with extensive warranties and 24/7 on-call support.